Potential spoilers for Marvel’s Spider-Man appear ahead. With two months to go until release, Insomniac continues to keep story details for Marvel’s Spider-Man close to the chest. It’s a good thing, too. The last thing anyone wants is the game’s most massive surprises prematurely spoiled. What is public knowledge is that the webslinger will go toe-to-toe with the Sinister Six. Shocker, Mister Negative, Rhino, Electro, and Scorpion are, thus far, all accounted for. The sixth member of the villainous crew remains a mystery. However, one possibility has incidentally been teased. Yet, another baddie from the hero’s rogues gallery may make a surprise appearance, as well. Leaked gameplay footage suggests players will take on Wilson Fisk, also known as Kingpin, in a boss battle. 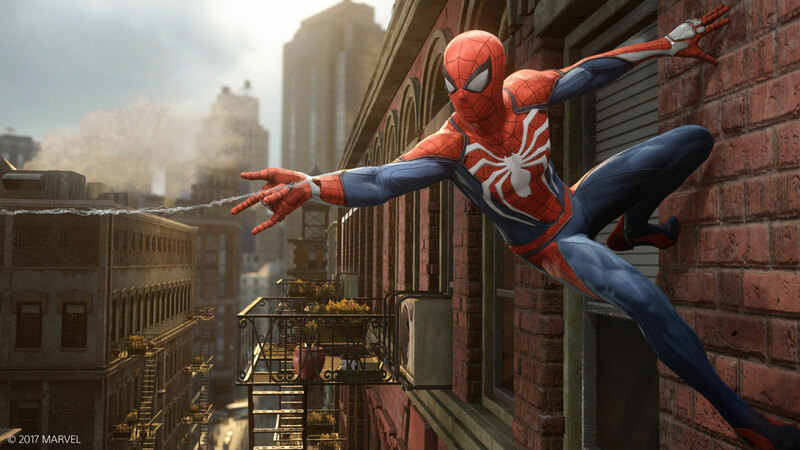 A post on the Marvel’s Spider-Man Reddit page features a video clip of off-screen Marvel’s Spider-Man gameplay footage. In the video, Spider-Man battles Kingpin and a few of the crime lord’s henchmen. You can check out the clip here. Prior to this leaked footage, Kingpin has only been mentioned in passing. During a recent live gameplay demo, Community Director James Stevenson revealed Spider-Man locks Kingpin away at the start of Marvel’s Spider-Man. Based on this newly leaked footage, players will apparently take part in bringing the villain to justice. Though the clip runs just shy of forty seconds, it seemingly depicts much of what people can expect from the Spider-Man vs. Kingpin fight. Unlike the boss battle with Shocker, featured in the E3 2018 show floor demo, the only super-powered being is Spidey himself. Therefore, the two fights are quite different, as Kingpin only has brute strength and hand-to-hand combat prowess at his disposal. This also suggests that each boss fight will have a different feel to it, similar to those in the Batman: Arkham series. Luckily, we don’t have to wait much longer to get our hands on it. Marvel’s Spider-Man launches exclusively on PlayStation 4 on September 7, 2018.